Indoor playgrounds and amusement centers give kids a great way to have fun and get some exercise during those times of the year that its uncomfortable to be outside. 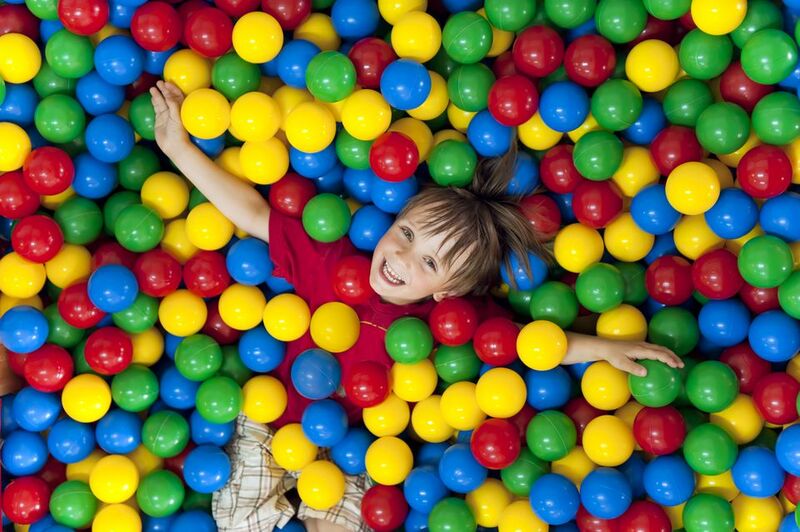 On cold, hot or rainy days, kids will love to go to these indoor play places! Adventure Park USA: Monrovia, Maryland (301) 865-6800. Western theme park with Go Karts, mini-golf, bumper boats, laser tag, ropes course, rock wall, bumper carts, scrambler, tilt a whirl, frog hopper, mini Himalaya, soft-play playground, arcade games, carousel, mini helicopters and teacups. Located about 40 miles north of Washington, DC. Centrally located near Frederick MD in the Heart of the Civil War Heritage Area. Be With Me - the Children's Playseum: 7000 Wisconsin Ave. Bethesda, Maryland. The children's indoor activity center offers hands-on opportunities for ages 9 months to 14 years. Themed rooms are set up to inspire imaginative play. Kidville: 4825 Bethesda Avenue, Bethesda, MD (301) 656-5030. The children's enrichment center offers an indoor playspace and a wide range of classes including music and dance, gym, and art. Programs are geared toward kids ages six and under. A variety of all-inclusive birthday parties are available. Laugh Out Loud Stations: Beltway Plaza Mall, 6000 Greenbelt Road Greenbelt, MD (301) 885-2888. The Mega FunCenter is a 38,000 sq ft indoor site with attractions such as a Black-light Laser Tag Arena, a 4-level playground and bouncers, Balladium - Ball Blaster, and carnival rides like the Himalaya, Bumper Cars and Spinning Top, and indoor Go Karts. The center specializes in birthday parties, league celebrations, fundraisers, church/organization appreciations events, schools/daycare/camps play days and walk in family fun play. Alexandria Coliseum: Kid’s Choice Sports Center, 4317 Ravensworth Rd, Annandale, VA (571) 730-0675. The indoor activity center specializes in inflatable amusements and birthday parties. Participants must be age 2 and older and at least 30 inches tall. Highlights include a soccer-themed moon bounce, a 22-foot tall slide, and a two-story cross-over obstacle course. The Animated Child: 5167 Waterway Drive Montclair, VA (703) 763-0003. The innovative center is inspired by the multiple intelligences of Gardner’s theory, and engages children to highlight their unique way of learning. Open exploration times, enrichment classes, summer camps and birthday parties are available. Central Park Fun Land: 1351 Central Park Blvd. Fredericksburg, VA. (540) 785-6700. The family fun center has indoor and outdoor amusements including more than 20 rides, laser tag, go-karts, miniature golf, batting cages, mini bowling, rock climbing and bumper cars. There's also a large arcade with over 100 video games.. Kid Junction: 4090 Lafayette Center Dr. Chantilly VA (703) 222-5582. The 10,000 sq. ft. facility offers a fully-enclosed toddler play area, parent/teacher seating, mazes, obstacle courses, tunnels and slides, sports-oriented arcade games, token-operated rides, imagination play areas, and a music room where children can make their own music videos. In addition to daily open play, birthday packages, field trip options, or fundraiser options are available. Sport Bounce of Loudoun: 44710 Cape Court #116, Ashburn, VA (703) 729-9522. The 10,000 sq. ft. moonbounce facility is geared to kids ages 4-10 and offers fitness classes, open gyms and birthday parties. Chuck E. Cheese: With seven locations in Maryland and Virginia, Chuck E. Cheese is a fun place for kids where they can crawl through tunnels, play arcade games, enjoy kiddie rides and play in ball pits. The Little Gym: Gymnastics, karate and fitness programs for kids ages 4 months to 12 years. Many locations in Maryland and Virginia. Since 1976, The Little Gym has created a curriculum of experiential learning to provide opportunities for kids to explore their own potential. All programs are divided into themed, multi-week Learning Units that lead to a natural progression of skills. My Gym: A national chain of gymnastics centers with several locations in Maryland and Virginia. My Gym offers non-competitive tumbling and gymnastics programs for kids ages 3 months to 9 years. National Children's Museum: Various locations at the libraries in Washington DC. The museum closed its National Harbor location in January 2015 and is set to reopen in a new permanent location in Washington DC in the spring of 2019. Shadowland Laser Adventure Centers: Laser tag is a group activity geared to school-age children and adults. Players put on high-tech suits and handsets and shoot lasers at each other while running and hiding in a two-level arena with mazes. Locations in Columbia and Gaithersburg in Maryland and Springfield/Alexandria and Chantilly, Virginia.